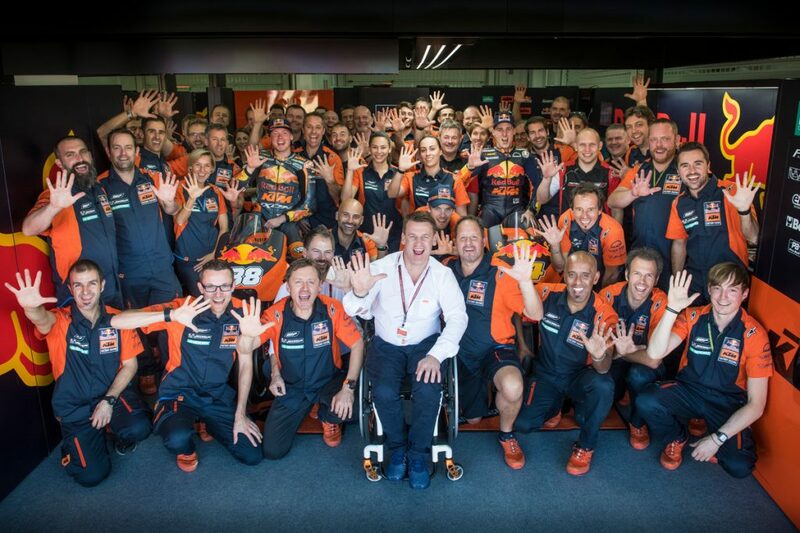 Impressive, magnificent, and a whole host of other superlatives – that’s the kind of thing you’d have heard when talk turned to the Red Bull KTM MotoGP Factory Racing Team following the MotoGPTM 2017 season finale. In its very first season, KTM has become a heavyweight on the Grand Prix-circuit. There were, of course, some setbacks along the way, but the final standings after all that hard work show a team heading in the right direction – and straight for the top. Successes include the first world championship points for the KTM RC16, points for both KTM factory riders, the first top-ten result, and some outstanding performances in qualifying. 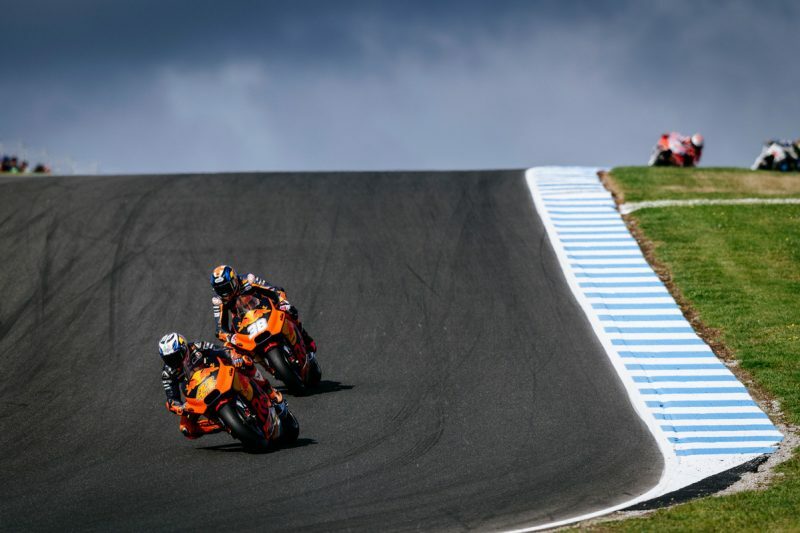 In the October Grand Prix at Phillip Island, the Red Bull KTM Factory Racing riders managed to land second- and third-place on the starting grid for the very first time, with both finishing the race in the top ten. 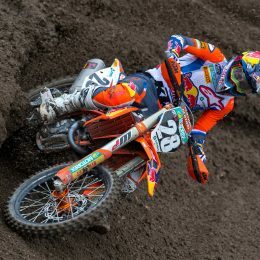 By now even the doubters couldn’t deny that KTM had become top-class heavyweights in their very first season. It is surely only a matter of time until a KTM rider makes an appearance on the podium for the first time. 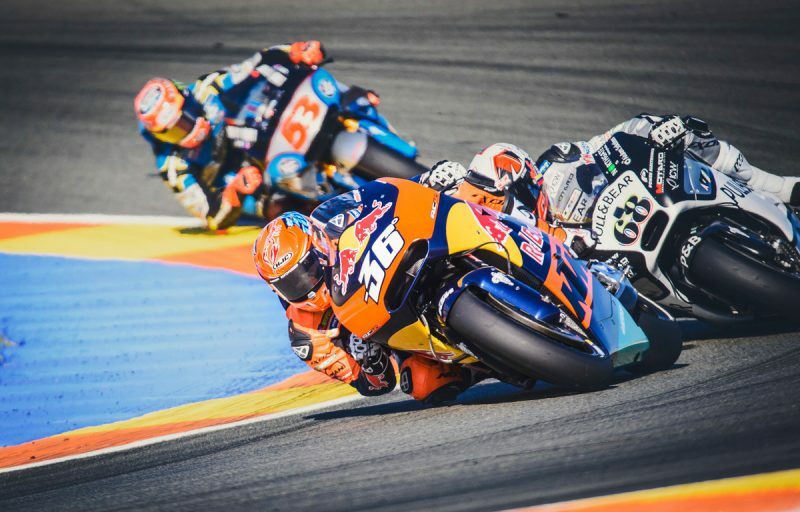 In the spring of 2014, shortly after winning a second Moto3 World Championship title in the 2013 season, KTM announced their entry into the MotoGPTM. Just 15 months later, the roll-out of the KTM RC16 took place on the Red Bull Ring in Styria, Austria. It was a major undertaking for motorsport boss Pit Beirer. Before the project could even get off the ground, he had to fit together a team like pieces in a puzzle, and convince people to come over to KTM. The function test for the new bike – developed completely in-house – ran perfectly smoothly and thus laid the groundwork for what was to come next. In 2016, a further development was announced when it was revealed that test riders Alex Hofmann and Mika Kallio, third-place at the 2008 World Championships on a 250cc 2-stroke KTM, would be joining the team. Things then really started to get serious in the 2017 season, when the two factory riders Pol Espargaró and Bradley Smith were added to the mix. 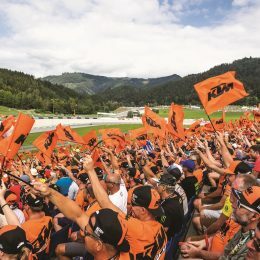 The Red Bull KTM Factory Racing Team were unveiled to the press for the first time against the grand backdrop of the summer 2016 home Grand Prix on the Red Bull Ring. Stepping out in front of a home crowd was a truly special moment for all concerned. 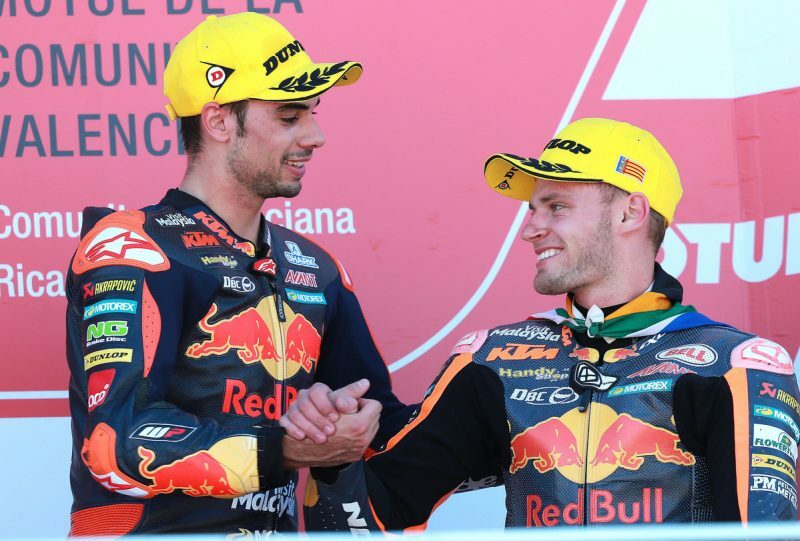 The next major target was the Grand Prix in Valencia, where Mika Kallio was entered as a wildcard rider to test out the KTM RC16 under race conditions, just one year after its launch. After a series of disappointing training sessions, things improved significantly for Kallio in qualifying and he managed to land 20th place. Everyone involved was delighted that KTM didn’t finish at the bottom of the pack. Unfortunately, bad luck on race day meant that Kallio had to retire with a faulty sensor. The subsequent test rides showed a clear improvement in training times to become among the quickest. 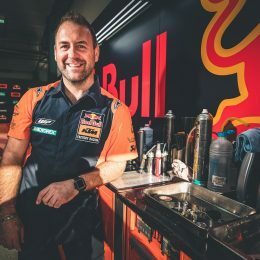 This trend also continued in the 2017 season races, and soon KTM boss Stefan Pierer’s dreams of securing a podium position didn’t seem so crazy. Motorsport has long been a part of KTM’s proud history. Shortly after commencing motorcycle production, KTM models began taking part in the series machine races that were popular at the time and, exactly six decades ago, KTM’s first racing bike – constructed by Ludwig Apfelbeck and featuring a 125cc 4-stroke engine – was launched. At the end of the 1950s, due to a crisis on the European motorcycle market, KTM discontinued its motorcycle production and it wasn’t until 2003 that KTM riders could be found back on the track and fighting for victories and championship titles.